By the end of 2012, we produced a new brochure about EXARC. 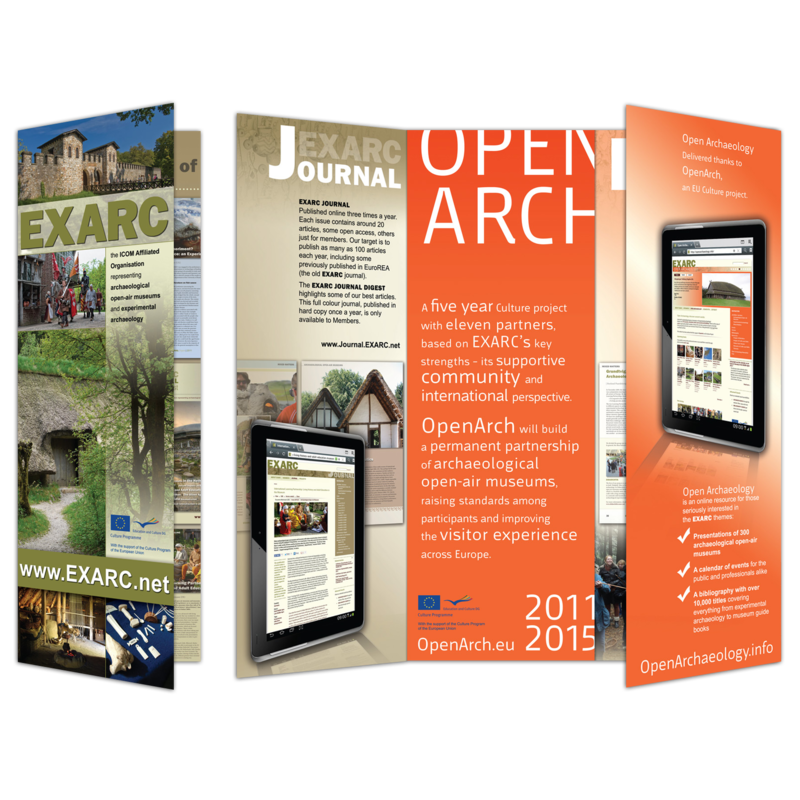 In eight pages it describes what EXARC has to offer, including Journal online and Digest, EU projects like OpenArch, and its product - Open Archaeology website. Following our list at www.exarc.net/venues we sent this brochure to all 250 EXARC related venues across Europe we know of. Within two weeks EXARC now has already a handful of new members! If you are an EXARC member and like us to send you a number of folders, contact us – and if you know about venues not on our map yet we are interested to hear from you.